Marché Moderne, the French restaurant from owner/chefs Florent and Amelia Marneauin, has relocated to Newport Coast’s Crystal Cove Shopping Center, in the space formerly occupied by Tamarind of London. The new locale rubs shoulders with such luxe dining venues as Bluefin and Maestro’s Ocean Club. 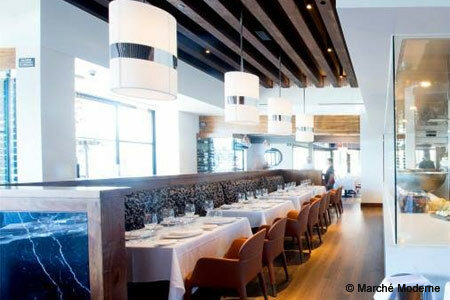 Marché Moderne, Crystal Cove Shopping Center, 7862 E. Coast Hwy., Newport Beach, CA 92657, 714-434-7900.